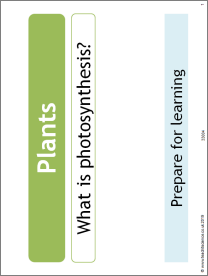 This activity helps structure individual and group work around photosynthesis. Students research and collaborate to understand and work out the equation for photosynthesis. It is suitable to use with both higher ability KS3 and KS4.